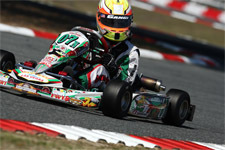 TOP-TEN IN FWT ROTAX JUNIOR CHAMPIONSHIP FOR ANTHONY GANGI JR. 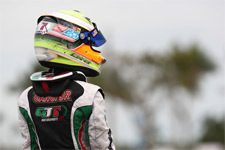 Recently completing his first full series of 2014, Anthony Gangi Jr. would leave the Formula Kart Productions Florida Winter Tour (FWT) with several top-ten results. 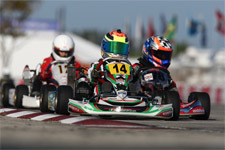 Battling a stout field of 40 hungry Rotax Junior pilots at the Orlando Kart Center in Orlando, Florida for the finale rounds, the GT7 Motorsports driver claimed two top-ten final finishes and a respectable top-ten in the overall championships points in his rookie junior FWT attempt. 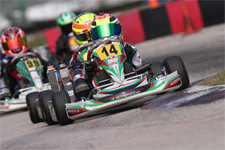 Again joining forces with the potent Ocala Gran Prix (OGP) squad, the talented Tony Kart pilot took to the Orlando facility for two qualifying sessions on Friday to get his weekend underway. Clocking 13th quick for Sunday's round, Gangi Jr. was only able to clock the 20th fastest lap for Saturday during a tight qualifying session. On track Saturday for the first wheel-to-wheel action, the young gun would only complete one lap in the day's prefinal as a DNF put him deep in the field for the all-important final. Starting from the last row on the grid, Gangi Jr. proceeded to put on a clinic in the main event. Passing kart after kart, the Brookville, New York resident was on a tear as he made up lost ground from his disastrous prefinal. Making his way up to the top-ten, Gangi Jr. was able to pass 29 karts and was awarded the "Hard Charger" at podium presentations and took home a set of Mojo tires courtesy of the MAXSpeed Group for his efforts. Back for more action on Sunday, Gangi Jr. was able to race at the front of the pack, as the rising talent moved from his 13th place starting position to fifth in the prefinal. 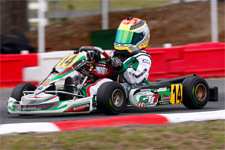 Continuing to run with the fierce frontrunners, the GT7/Tony Kart pilot was again able to add a top-ten result after finishing seventh in the final. 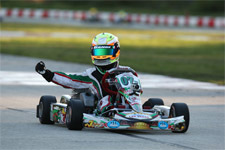 With final points tabulated, Gangi Jr. placed a respectable eighth overall in the Rotax Junior Championship standings. 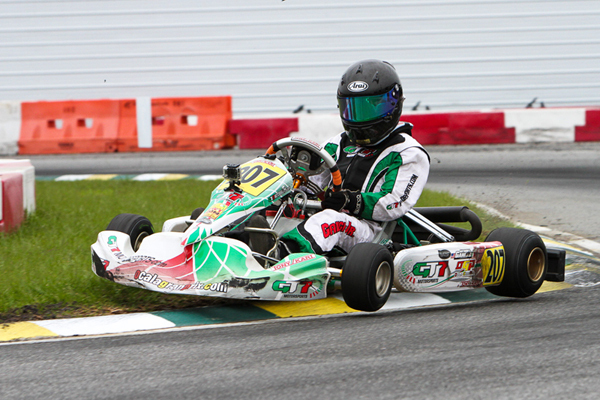 With the Florida Winter Tour complete, Gangi Jr. will now turn his focus to the United States Pro Kart Series (USPKS) this coming weekend at the GoPro Motorplex in Mooresville, North Carolina. Taking on the TaG Junior category, Gangi Jr. will welcome new tuner and driver coach Thomas Silva to his program. As former tuner AJ Whisler is now set to focus solely on his Holeshot Drive Systems business, providing chains and gears to the karting industry and now taking on the super cross industry as well, Anthony Jr. and GT7 Motorosports would like to wish him all the best and success in his decision to focus on providing the best chains and gears around!